Athletic Greens is one of the popular supplements available in the market. It is designed to provide most of our daily nutrient requirement in just one serving. Here is everything you need to know about the latest sensation in the market of supplements. #1 What is Athletic Green? Athletic Green is a supplement which helps to rejuvenate your energy and boost immunity. It is packed in the form of powder. It is enriched with seventy-five ingredients. These are two things that make Athletic Green one of its kind in the range of supplements. It is not feasible to list all the 75 ingredients here. Some of the major ingredients present in it are Ashwagandha, Rhodiola Rosea, Broccoli flower, Green tea extract, Milk thistle extract, Spirulina, Inulin, Wheatgrass, and Probiotics. Generally, supplements consist probiotics in the range of one and ten billion. Athletic Green is labeled as 7.2 billion probiotics. Athletic Green keep the probiotics active, unlike the capsule supplements. Probiotics cannot survive the high-temperature production process of capsules. Athletic Greens is produced in mild temperature by freeze drying and cold pressing techniques. The powder will directly go down to your digestive system and start showing its action. The probiotics will increase your digestion capacity and reduce inflammation levels. It provides vitamins A, B, and C to your body. In addition to zinc supplements, it also includes micronutrients like manganese and chromium. Rhodiola Rosea is well known for its qualities of balancing stress level and other mental issues. You have to mix one heaped tablespoon of the Athletic Greens powder to a glass of water for each serving. An average adult is expected to consume one serving a day (preferably in the morning) for best results. Athletes and physical fitness personnel are recommended to have two servings a day. First one in the morning and another one in the afternoon. #5 Is it worth the money? One complaint people have about this supplement is its comparatively higher price than the other products. The Athletic Greens costs you around US$ 4 for every serving. 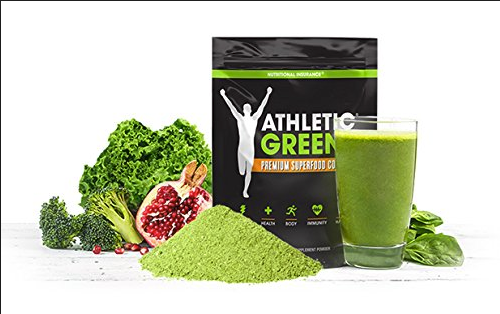 The company claims that to acquire all the nutrients in one pack of Athletic Green separately for a month, you will have to spend around US$ 380. You can now avail discounts by enrolling in the loyal customer program or by purchasing more than one pack at a time. #6 How does it taste better than other supplements? Most of the customers were surprised when they had their first cup of Athletic Green drink. Because unlike the supplements they tasted before Athletic Green had a pleasant taste. They did not have to gulp it down in a jiffy. The base of papaya, vanilla, cherry powder, stevia, carrot, and pineapple are used to enrich its taste. It contains a few notes of ginger to give a spicy touch. You can start having your cup of Athletic Green drink to boost your immunity and improve your stamina.